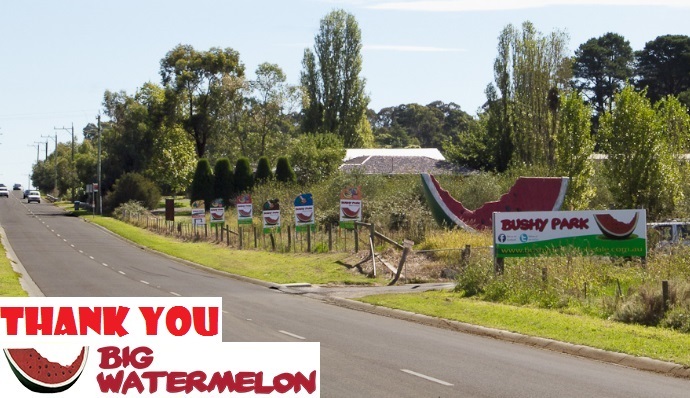 Thank you for your support Big Watermelon! | Knox Little Athletics Centre Inc. Thank you for your support Big Watermelon! Thank you Big Watermelon (formerly Bushy Park) for supporting the Knox Little Athletics Cross Country this season. All of the kids (& many parents too) have really enjoyed your fresh, delicious fruit snacks at our weekly races.